I often encounter phases in my life where one cookie ingested leads to a continuous daily craving for more, usually at 4pm in the office. But anyone who’s actually watched cookies being made, will know how bad it is to give in to that craving everyday. There is so much sugar involved. So when I found out that Natvia‘s 100% natural sweetener, made of Stevia, had a “baking” version, I was excited to see if making delicious “guilt free” cookies was at all possible. I’m aware of the other healthy sugar replacements such as coconut palm sugar. But it definitely seems to be marketed as way more “healthy” than it actually is. According to this article, coconut sugar is still 78% sugar, so it seems to me we really shouldn’t be using it as liberally as its marketing suggests… I’ve still got a pack at home I haven’t opened for precisely this reason. 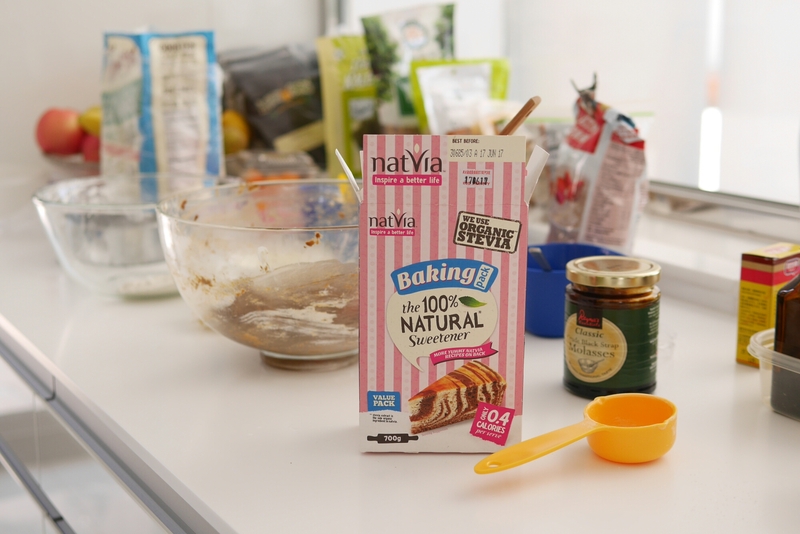 On the other hand, Natvia is not only derived from 100% natural sources, it’s also totally sugar free and almost calories-free. It doesn’t even have tooth decaying effects like sugar does. To many of my cookie guinea pigs, these were delicious chewy chocolate chip cookies; they didn’t suspect that this was sugar-free since they actually tasted quite sweet. But upon telling them that a sweetener had been used, they quickly agreed that there was a slight difference in taste. 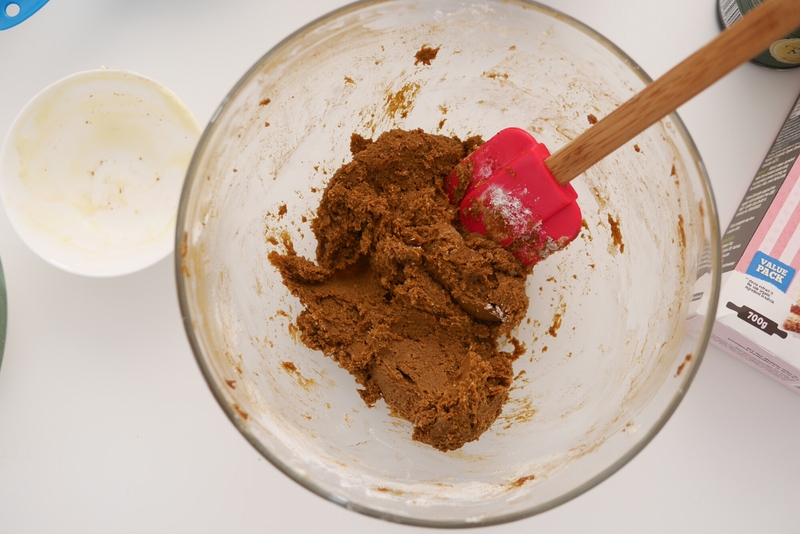 The recipe yields very chewy and moist cookies which I think are delicious. 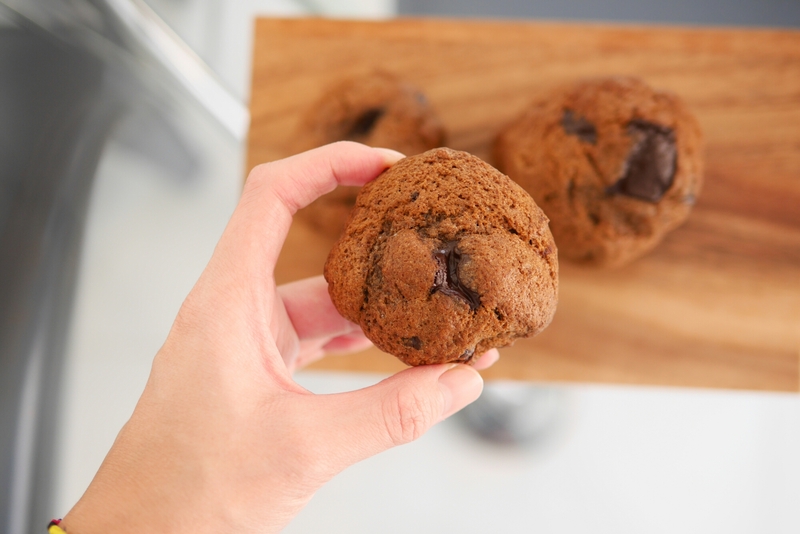 They’d definitely satisfy a cookie craving. Frankly, they do taste different though. It has a slight after taste which reminds me of eating mints. And I think that because the sweetener is so low in calories, the cookies were not as filling as usual – which is a good and bad thing I suppose. But a tiny shift in taste for a marked improvement in health contents is a swap I wouldn’t hesitate to make again.